Use of outdated productivity suites prevalent among businesses, Spiceworks study finds. 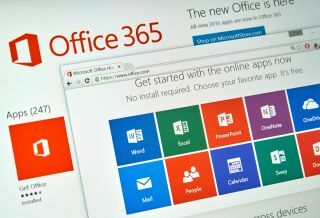 A large number of businesses across the world are being put at risk of cyber-attack by using outdated and unsupported versions of Microsoft's Office suite, new research has claimed. A report by Spiceworks found that 82 per cent of businesses in the UK, US and Canada are still using older, on-premise version of Office, with Office XP, Office 2003 and Office 2007 being used. Office 2010 is most commonly used, 43 per cent use Office 2013 and 17 per cent run Office 2016. “Although they’re aware of the security risks of running end of life software, many IT departments haven’t had the budget, time, or resources required to implement new productivity suites and train end users accordingly,” said Peter Tsai, senior technology analyst at Spiceworks. That also seems to be the case – IT budgets are growing and Spiceworks expects businesses to upgrade to newer, cloud-based offerings. Half (53 per cent) are using Office 365, with 17 per cent planning on adopting within two years. Out of all productivity suites, Office 365 is expected to see most growth.